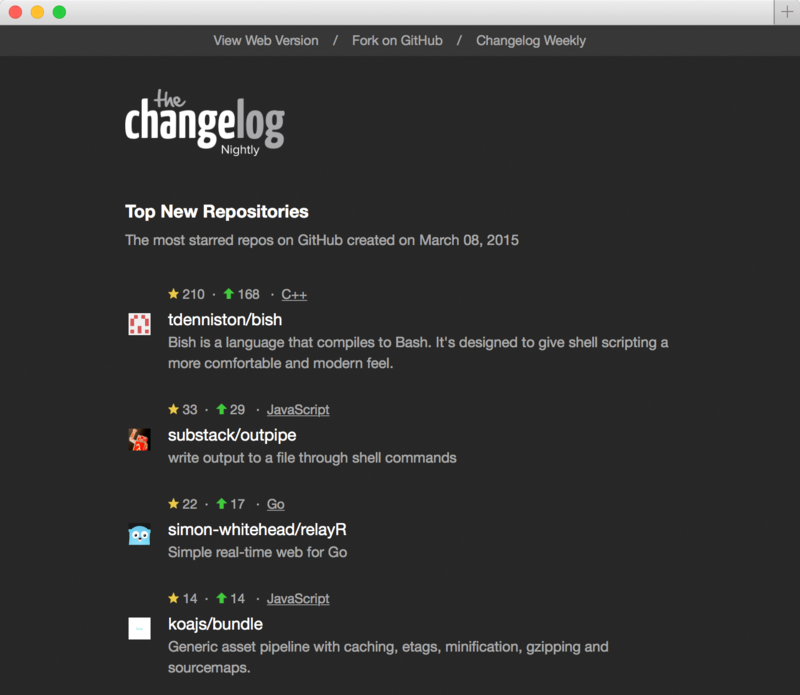 When we shipped Changelog Nightly, we got lots of great feedback for it, but not everyone loved the design. Sure the design looks good, but it wasn't scannable enough. It was too newspaper-like. So we went to work to make the design more concise and in the process we not only updated the design, but we also added theme support. Now you can choose between a night theme and a day theme. If you're an existing subscriber -- update your theme choice, open up a recent Changelog Nightly email, and follow the link in the footer that says "manage your preferences" and choose either Night or Day from the theme selector and update your preferences. If you're a new subscriber -- Just choose your theme when you sign-up. Our default is the Night theme. Here's a preview of each below. 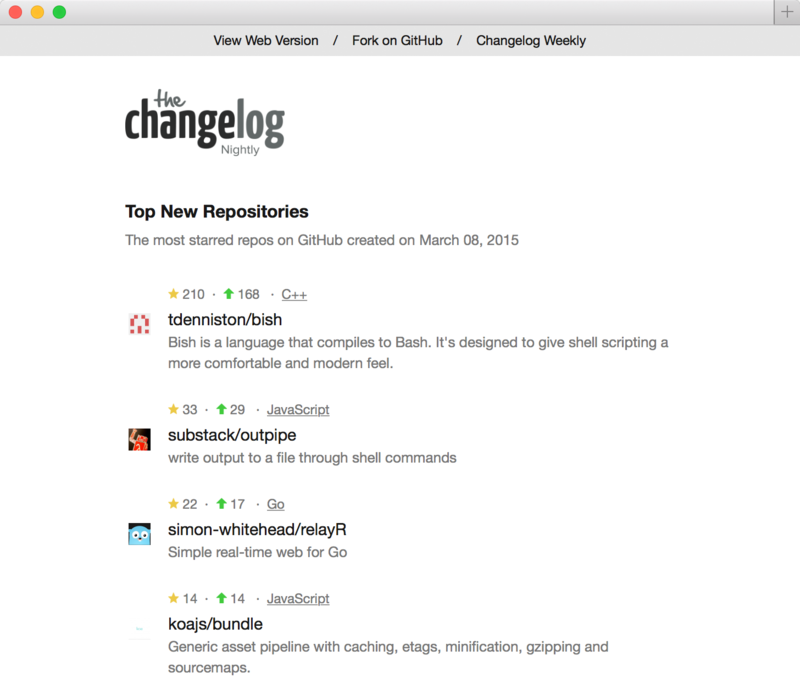 If you haven't yet, you can subscribe to Changelog Nightly here.